Located in northwestern Montana, not far from the Canadian border, Glacier National Park is the fourth largest national park in the United States. It lies in a spectacular wilderness of glaciers, lofty mountain peaks and scenic lakes covering an area of over one million acres. The name of the park comes from the more than 60 glaciers that range in size from a few acres to several miles. The largest of these glaciers is the Blackfoot Glacier, located on the northern slope of Blackfoot Mountain and is named for the tribe of native peoples who inhabited this land until the time of its exploration by the white man. 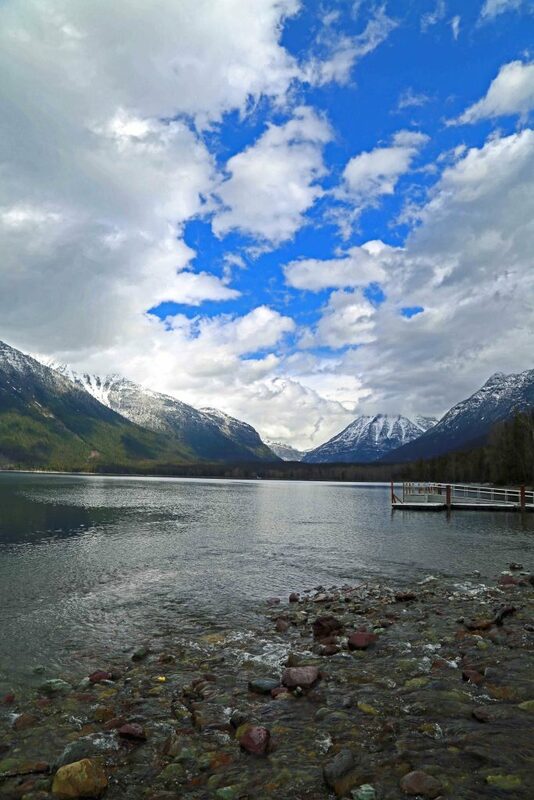 There are more than 200 lakes within the boundaries of Glacier National Park. These were formed from depressions in the land that were carved out as the glaciers moved over them. Many of the lakes are high in the mountains surrounded by sheer cliffs. Lake MacDonald, which is the largest of these lakes, is about ten miles long and is more than a mile in width. The Lewis Range of mountains extends across the park from east to west. This range of mountains forms part of the Continental Divide. It is here you will find some of the highest peaks of this mountain range, such as Mount Cleveland at over 10,000 feet. There are more than a thousand species of wild mountain flowers and shrubs blooming in the park during the summer months. Wild animals, such as elk, deer, black bears, grizzly bears, cougars and mountain lions, inhabit the park area and roam freely because hunting is not permitted within the boundaries. Fishing in the many lakes is permitted and anglers do catch sizable fish on their visits. The Going-to-the-Sun Road winds its way through Glacier National Park and is aptly named because of the heights to which it rises. This road crosses the park from east to west, rising to Logan Pass from which you have a panoramic view of the park below. Most of the park is accessible only on horseback or on foot by means of the many nature trails. Visitors can take a guided field trip along part of the 1000 miles of trails with the park rangers serving as guides. During the summer months, visitors can also avail of talks and information services provided by the rangers. Camping in Glacier National Park is an outdoor enthusiast’s dream vacation. With over 1000 campsites to choose from you can be as far away from civilization as you choose to experience nature at its finest. There are also other types of accommodations available within the park in the form of tourist chalets and hotels. The headquarters of the park is located at the western edge in the village of West Glacier. There are amazing Glacier National Park Lodging options within the park. Glacier has some of the most amazing National Park Lodges in the park system. Check out these Glacier National Park Travel Tips for more information on planning the best trip to Montana!